So I just got home from the best. day. ever. at my bakery. my bakery....my bakery.....sometimes I still don't believe that it's true. Today we decided to open the shop as kind of a test-run of sorts. I had a bunch of sugar cookies decorated, and a TON of other cookie doughs on hand. We just planned to bake fresh cookies as the day went on and see what happened. Let me tell you what happened.....we were unbelievably busy! Word started to spread on facebook that we were open, people were stopping in fast traffic to make a quick left into our parking lot from rte. 88, our parking lot was full for most of the afternoon!! My email and facebook notifications were dinging from my phone, the store phone was ringing, and my friends and my community and complete strangers just really showed up to show their support! At a few times this afternoon we were basically serving cookies straight from the oven into bakery boxes. I couldn't even keep up with the amount of customer requests....but when there was a 10 minute wait for chocolate chip....or for cranberry oatmeal....or caramel chocolate pecan....people just waited....patiently. And everyone was so nice! I cannot tell you how grateful and very truly humbled I feel. Just being back in the kitchen and hearing the buzz of people out front chatting and talking made me feel so happy. Amidst all of the craziness all I could hear was that sweet sound. I want to thank you.....all of you. Whether you came today....or posted on facebook or twitter about my shop, or wished me good luck with a text or email. To those of you who were so sweet to bring me congratulations gifts and cards....to my neighbors, old classmates, Mia's teachers, some of my contractors and suppliers for the shop, old friends, new friends, MY FAMILY....I am so extremely blessed and I will never forget today. Ever. What we thought was going to be a small experimental opening turned out to be the most successful first day of business that I could have ever imagined. Thank you.....truly.....thank you. To my A-team employees today.....Rob, Sarah, and Krista.....you were an awesome team and I am so grateful for you. We accomplished an amazing task today with no hiccups at all! Smoothest opening day ever! Thank you. I am exhausted. Physically and emotionally exhausted. Big week ahead as I'll remain open for regular business hours starting on Tuesday....and then we're planning to do a REAL grand-opening event next Saturday.....stay tuned! Again, thank you. I just can't say it enough! I am so blessed. 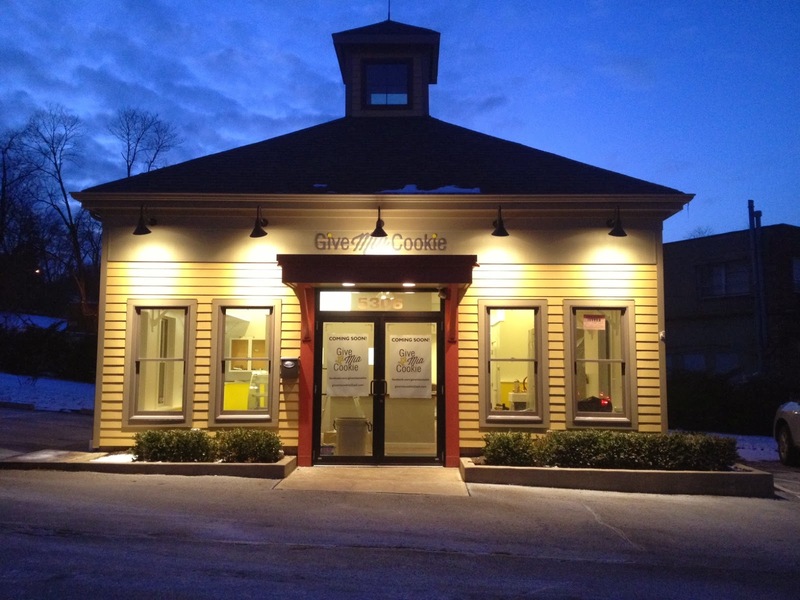 Cookie Shop - Week 21! Wow....just wow. I'm so overwhelmed with nerves and anxiety. I cannot BELIEVE that we're only 6 days away from opening the doors for business! So at some point over the last 2 weeks a major transformation happened. I'm not sure if it was one thing....or a combination of a few things....but one day I walked into the shop and it really felt like a bakery. It had completely lost it's identity of a construction site and had become exactly what I had dreamed up months ago. I think I lost my breath for a moment on that day....because it's just so hard to believe. When it was time to move all of my cookie-stuff into the shop it was so so weird. I never realized that I had a favorite butter knife that I used to level measuring cups....or that my one measuring spoon was so worn that you couldn't even read what measurement it was....so I had no clue how much of a certain ingredient I was even using! I've been in the habit of washing icing bowls a particular way for years...and now that's different. I had a spot near my toaster where I always kept my oven mit....and that spot isn't there at the new place so now my oven mit is always somewhere different. In a way it's really cool to have a place where I can figure out exactly what I want to do....but it's frustrating and kind of annoying, too.....because I'm a creature of habit and the changes are driving me nuts! The bakery isn't the only thing that's gone through a big transition. At home....MY DINING ROOM IS BACK!!! It's been almost three years since we've had a normal dining room that Mia didn't call "mommy's office". All of the baking-stuff is gone and we were able to enjoy our Christmas brunch with all of Mia's grandparents at the dining room table. It was so so nice! Speaking of my house....it's finally looking like a normal house again and not a storage facility. We had cases of bakery-stuff in every single room and it was driving me crazy. But we spent a few days just making trips to/from the bakery with random boxes of stuff....and finally it's almost all moved. We stocked up on random things like spoons and thermometers, paper cups and lids, a wet-floor sign, garbage cans.....you know....super-exciting stuff. And then of course we bought lots and lots of butter and flour, eggs, a few gallons of vanilla, 25 pounds of chocolate chips, a bucket of baking powder....things that when I sit back and think about how in a normal household people have one of those tiny tiny cans of baking powder and they may never ever use the whole thing! And I'll go through a bucket of it in a matter of weeks or months. It's just a funny transition from household to bakery. The final decorative touches are really looking fabulous at the shop. I'm not going to post anymore pictures until opening day so you'll just have to wait :) But I am so in love with how the shop looks....it is amazingly beautiful and I can't wait for you to see it! The signage for the shop is almost complete. The pole sign is finally working and that's awesome news! It looks so great! The only thing left are the door decals.....I just wasn't happy with the first ones that the sign company applied. So we're getting them re-done. I'm pretty sure that all of the contractors can't stand my pickiness at this point. But I don't really care....because I have been dreaming about this place for so long, I'm going to make it as perfect as I can! We had an AWESOME photo-shoot at the shop with Nick from Photos By Nick. Here's one of the product shots....stay tuned for more! Also...stay tuned for another post early this week with details about opening day! Thanks! Hope you all had a great Christmas! Cookie Shop - Week 19! We're now in the finishing stages of the really important stuff at the shop....SO much has been happening lately so I'm going to write this blog post in short little blurbs....because there's just so much going on it's easier to list them rather than to write a story! The plumbing finishes are complete....which means that the sinks and faucets are all installed, connected, and working. The grease trap is placed and connected, and the final plumbing inspection is complete! The electric is also completed...all of the outlets are installed, the oven and hot water tank are wired, and the lighting is all installed. We even remembered to label the new switches in the circuit box! The building sign is installed. The sign company came on a cold rainy day to install it and I felt so bad for them. But it looks so beautiful....and I think it's a perfect match to the building! As for the pole sign....there are some sort of electrical issues with the fixture so the sign company couldn't install my sign faces that day. The electricians have to come to fix the issues and then the sign company can come back. But I did get a sneak peak of the sign faces....they look awesome! We fired up the oven for the first time! What a beautiful sound that was! I haven't baked anything in it yet because there are so many paint and chemical fumes from the construction...I'm going to wait until we are done with all of the fumey stuff before I attempt to bake anything there....but the oven looks so perfect and I'm so happy with it. My dad and I spent an evening installing the rubber floor molding in the kitchen. For the first time EVER we didn't argue while working on a project together. It was the easiest thing we've done yet! The countertop has been installed. It. is. beautiful. It looks so custom and just perfect for my shop. So much hard work went into building it....I'm so afraid to mess it up! I'm responsible for staining/polyurethaning it and I'm a nervous wreck. The painting is alllll done. Wow, I think we went through 16 gallons of paint....very high ceilings and lots of walls. But the painter did an awesome job and I'm really happy with all of the colors. I painted the bathroom and utility room by myself and it was so fun. I went to the bakery at night while Mia was at home with Rob and I listened to music and just enjoyed the time to think. I forgot how much I love to paint....it's a lot like cookie decorating actually! The refrigerators are up and running and working perfectly. I can't wait to fill them with eggs and butter! 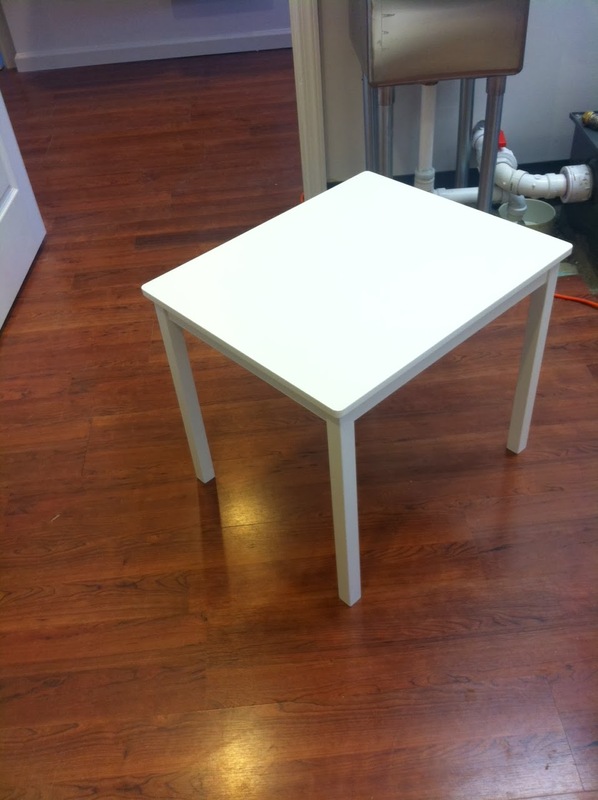 We have tables and chairs at the bakery now....and more and more fixtures and supplies are arriving every day. Coffee mugs, mixing bowls, thermometers, handsoap dispensers, t-shirts, exit signs, it's allll arriving. We replaced all of the outdoor lightbulbs and flipped the switch....and the store looked absolutely stunning. The next few days will be spent CLEANING, organizing, moving in the rest of the stuff, and hanging shelves and cabinets and pictures and stuff. I'm excited! Next week we'll have our final occupancy and health department inspection....and I'll hopefully start trial-baking at the shop by the end of next week! So I'll be busy busy busy....I may post one more update before the opening...but I want to try to keep the final product a surprise for opening day! Make sure to follow the facebook page for information regarding the store opening....as soon as inspections are passed we'll announce the exact dates, times, etc. 1st coat on the walls! 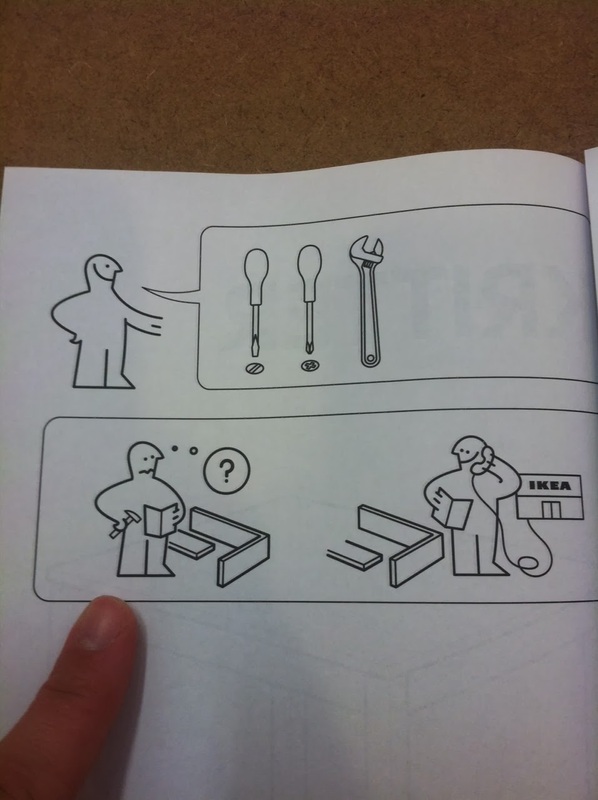 time to lift the oven and install it on legs! as soon as the electric was done I ran around plugging stuff in! don't know how this picture didn't make last week's post....this is my father-in-law priming the new drywall! rubber floor molding installed! Piece of cake! the oven is in place! Mia loves to color on the floor? look at that SOLID BEAUTIFUL kid's table! Sarah....I'm really proud of you! 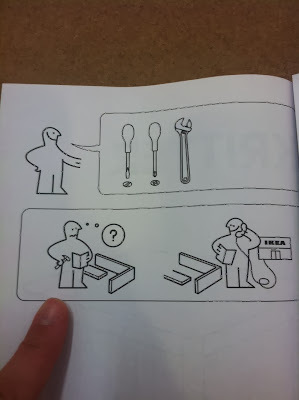 Did you have to call IKEA? omg. that hair. I'm a mess. it was the coldest rainiest day....I felt so bad for them! ....so I didn't help because he wouldn't listen to me. I am officially a professional food manager. Well....once I find out if I passed the test! So we're 36 days away from opening the doors for business! It's really strange because for the longest time I was spending so much time picking out stuff to order for the shop....and now I'm actually ordering stuff... and it's arriving! From new bakery boxes to my cash drawer....tables, chairs, uniform shirts, mugs, ribbon....it's so exciting! Buy my house is literally full of stuff.....and I can't wait until we're ready to move it all to the bakery. I'm pretty sure that the local UPS and Fedex drivers think I'm a compulsive shopper because they come to my house every single day with more packages! Construction is going really well.....we're keeping on schedule so that's great news! The drywall finisher is done....and I am so impressed by how great the new walls look. Painting is underway.....after a long list of paint sample requests at Sherwin Williams...but I feel good about the color choices and I think it's all going to turn out awesome. Make sure to check my next blog update to see the paint colors on the walls! it's really amazing how each step of the process really makes a big difference! there's Jim the drywall guy! We started working on my custom countertop this past week. I am so lucky that my uncle volunteered to build these for me. They are going to be so amazing and will add the perfect personal touch to the shop. My dad and uncle and I spent a morning at the lumber yard hand-selecting each board. We picked out some with really intricate wood grain and some that were so perfect they looked fake. The countertop is solid boards of oak and maple....it's similar to butcher-block but the boards are 5 inches wide. I cannot wait to see it completed....I think it will be one of my favorite finishes in the whole place. I also love that we got to spend the time together to select the wood. I actually learned a lot and it was fun! I've also been working on lots of decorative and DIY projects for the shop. Too many to even list them all....but I've been consignment shop hunting for some cool pieces to re-do, Rob and I have been working on a lighting project that I am SO excited about, I've been working with my amazingly great friend Lynn on a GIANT project that's going to be awesome. I have so many projects going on right now....I have no idea how they are all going to get done! Other than that, I'm just working working working on lots of business-type stuff. This coming week I'm enrolled in a food safety class with the Allegheny County Health Department. 2 whole days of training and testing. And we're hoping to be done with the painting this week so we can move forward with the plumbing and electric finishes. AND....the signs on the building and the parking lot pole sign should be going up soon, too! Time is starting to fly! Things are really moving along! Happy Thanksgiving....I think it's obvious what I'm thankful for! This bakery really is my dream coming true....and not many people get opportunities like this. I am so so thankful for all of this.